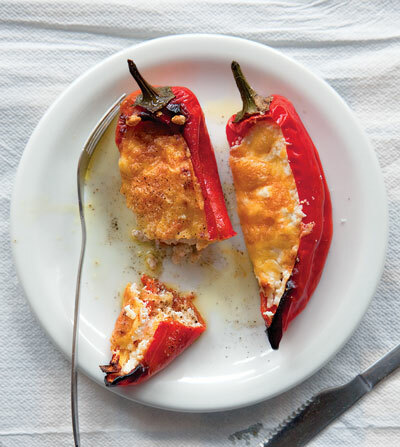 High, high on my list of things to make are these feta-stuffed peppers. I have a subscription to Saveur and somehow, the image of these flirty peppers is even more tempting on the printed page. I believe I first saw it in one of the 2010 summer issues, and even though it hooked me immediately, it wasn’t until I saw it recently featured on Saveur’s fave recipes of 2010 list that I remembered them. I think these and a glass of wine are going to be dinner this weekend. My friend Lulu has been raving about Yotam Ottolenghi’s fried cauliflower with tahini recipe and she finally made it for herself. It sounds amazing. She notes, and I’ve noticed, that all of his recipes take some effort. So far I’ve been happy enough with the results to return to them and I’ll be featuring his laksa curry in an upcoming post. She’s convinced me to attempt his cauliflower recipe too. And if anyone can make a successful vegetable bouillon, it’s Heidi Swanson of 101 Cookbooks, right? I have no issue with throwing onion, celery, carrots and herbs into water to make a nice vegetable stock, but sometimes a flavour-packed cube of bouillon is required. Freezing a batch of this paste is the answer, since I hate to use the salt-based cubes sold in stores.